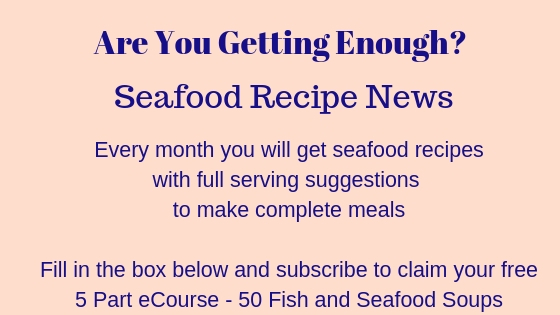 This is one of my favorite grilled fish recipes. I think it's because it's so adaptable. 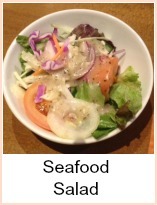 I love the mixture of warm salmon with cold salad. 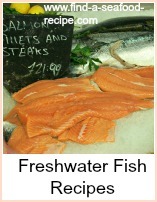 You could use trout or canned fish here. 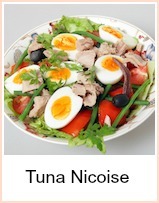 Tuna would be good - canned salmon would give you the Omega 3s as would fresh tuna. Swordfish, monkfish, any type of firm fleshed fish would be great. The balsamic vinegar dressing gives the finished dish a certain piquancy that is hard to describe - give it a try - if you don't like balsamic vinegar, then use an ordinary french dressing. The bags of mixed salad leaves that you get in the supermarkets now make this a meal that is simple to put together. Heat your grill and brush the salmon fillets with oil, lemon juice and season with a few twists of black pepper. Cook about 6 minutes, turning half way through - brush with oil as you turn. While your salmon is cooking, assemble the salad. In a large bowl, tip in the salad leaves, avocado, tomatoes and carrots and mix them all together. Combine the olive oil and balsamic vinegar and pour over the salad. Mix thoroughly so that the salad is coated with the dressing. 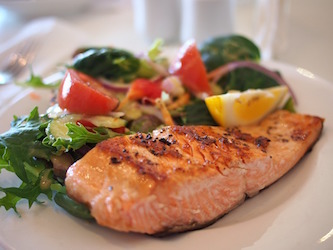 Put the salad onto individual plates and top with the cooked salmon. Serve this with some fresh crusty bread and butter or some boiled and buttered new potatoes. This Warm Salmon Salad recipe is one of my favorite grilled fish recipes because it's so adaptable.